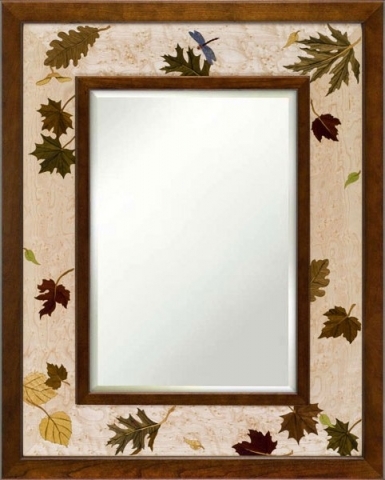 HRI - 744 - A New Leaf Turning Medium Border Mirror by Jeff Nelson. Can be hung either vertically or horizontally. 25"x31"
Most items are in stock and available to ship immediately. This piece is priced to include shipping and special handling.